Louis William Gordon Büchner-Malcolm attended the Ballarat School of Mines (SMB) from 1907-9 and 1911, gaining certificates in mine management and geology. He served during World War 1 as an officer in the Royal Garrison Artillery and saw action in both France and West Africa. 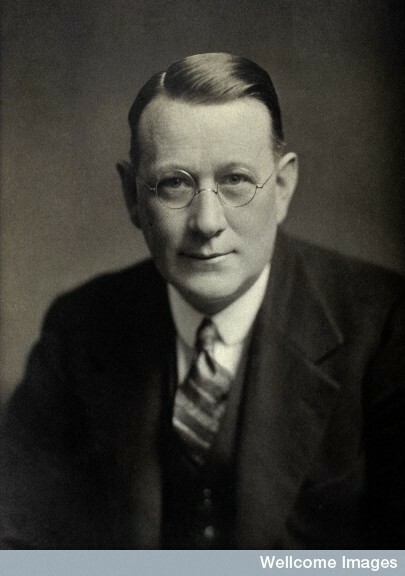 Born in Bourke, New South Wales in 1885 to Mechanics Institute librarian Otto L.G. Büchner and Catherine Malcolm, the family relocated to Katoomba in the early 1890s where they suffered two tragedies. In 1894, Otto abandoned his family and then in 1896, a tragic house fire cost the lives of Louis’ four younger siblings. Lieut. Büchner-Malcolm attended Katoomba Superior public school. After leaving school he became a staff member at the Australian Museum in Sydney. Whilst in Sydney he passed an examination in geology at Sydney Technical College. In 1907, Lieut. Büchner-Malcolm commenced studying at the Ballarat School of Mines. After completing his studies, Louis went to the University of Melbourne as a Government Research Scholar in anatomy and obtained numerous scholarships. In August 1914, Lieut. Büchner-Malcolm went to France with the Imperial Expeditionary Force; and the following month he was attached to the Nigeria Regiment, West African Frontier Force. He remained with the artillery until 1919 making it to Temporary Captain. Whilst in West Africa he undertook research into the Eghap people of central Cameroon. After the war he studied at Christ’s College, Cambridge as LWG Malcolm, where he graduated in 1921 with a Master’s degree in Anthropology. He moved on to work in the museum sector, gaining employment at various British institutions such as the Horniman Museum and Wellcome Historical Medical Museum. In 1932 he completed his PhD at Christ’s College, Cambridge in the Faculty of Medicine on ‘Medical Museums: An Historical and Bibliographic Study’. Büchner’s life history has been difficult to piece together, in part because of his name change. He was originally known as LWG Buchner and in 1915 adopted his mother’s maiden name to become Buchner-Malcolm. By the end of the war he used his mother’s maiden name exclusively, becoming known as Louis William Gordon Malcolm or LWG Malcolm. We can speculate as to the reason for these name changes. Perhaps he did not wish to have a German surname due to the strong anti-German feeling associated with the outbreak of World War I.
Lieut. Büchner-Malcolm is believed to be the first SMB alumnus to complete a PhD and the first at an overseas university. His story is an important part of the history of Ballarat, both in terms of its academic history and its military history. Melbourne Punch, April 1, 1915. ‘Australians in Africa’, Great War Forum, last modified May 25, 2015, http://1914-1918.invisionzone.com/forums/index.php?showtopic=72898.